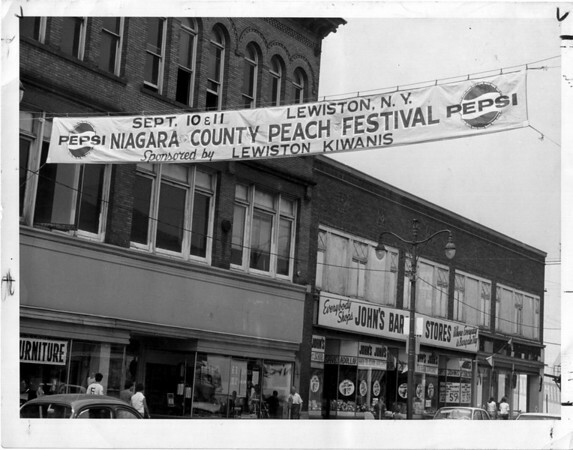 1966 peach Festival banner Sponsored by the Kiwanis Club. The banner hangs over main street in Niagara Falls. Photo - Niagara Gazette - 8/10/66.